← To the Cosmic with My Ozmic Ray! Since I’ve been discussing ray guns in my last few posts and I haven’t done a video game post in a while, I thought guns used in video games might be an interesting topic. 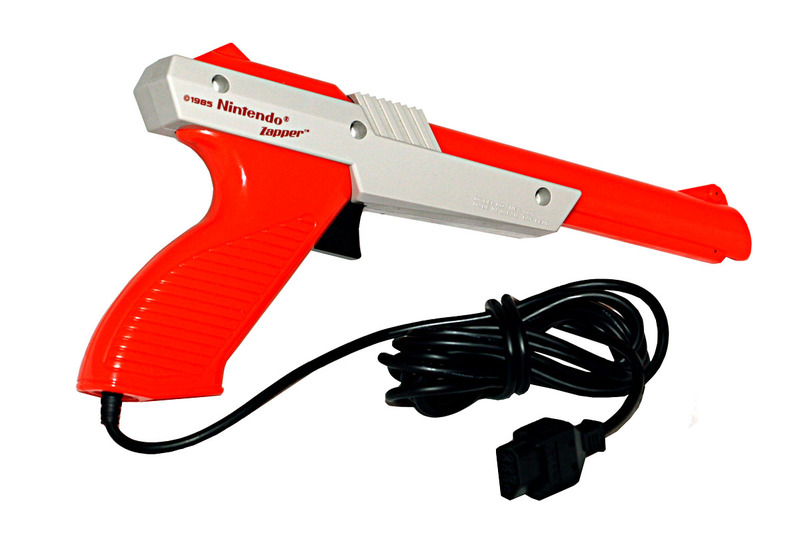 I’m sure anyone who grew up around when I did remembers the Nintendo Zapper, one of the first successful guns to work with a home video game system. If you bought the system with the Zapper, it included the game Duck Hunt, from which everybody remembers the dog laughing every time you missed a duck. And no, you couldn’t shoot the dog, although apparently there was a bonus game in the arcade version where you could. As obnoxious as that canine was, that’s really pretty disturbing. Wikipedia lists eighteen NES games that were compatible with the Zapper, some of them requiring it and others making it optional. The only ones I really remember other than Duck Hunt were Hogan’s Alley and Wild Gunman, the latter primarily from its appearance in Back to the Future Part II. Marty McFly plays the game in 2015, and a kid says it like a baby’s toy because you have to use your hands. Kids these days and their fancy Xbox Kinects! In Captain N: The Game Master, the Zapper was the Captain’s main weapon, and had both normal and freeze settings. 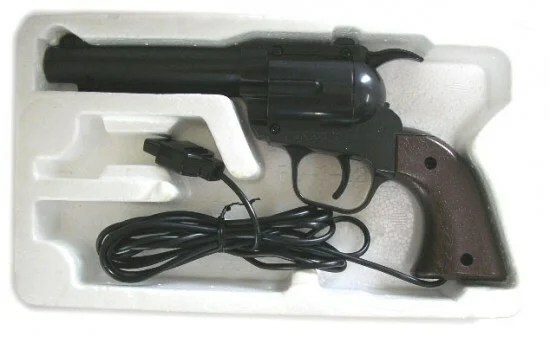 As with many innovations in entertainment technology, the light gun actually dates back a lot farther than I thought. 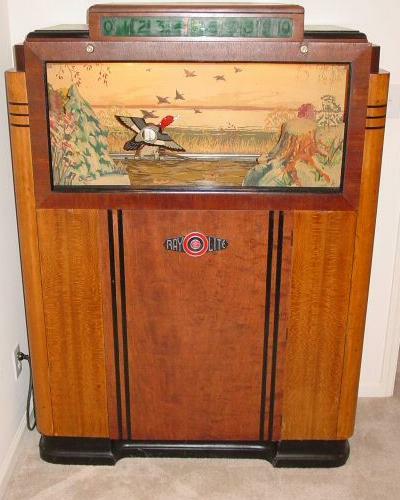 The first game to use one, Seeburg’s Ray-O-Lite, came out in 1936. It operated on light-sensitive vacuum tubes, and like the Nintendo game was based on hunting ducks. No laughing dogs in this one, though, I’m pretty sure. These early light guns actually emitted a ray of light, but later they’d use a photodiode for sensing light on the screen. 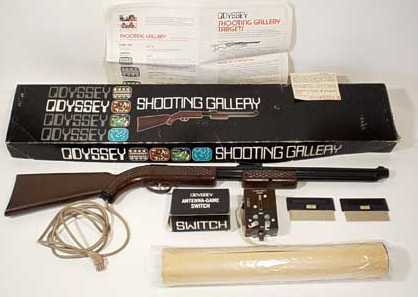 The first home video game system to have a gun accessory was the Magnavox Odyssey, and this one actually looked like a rifle. Later ones tended to have a much less realistic appearance. Well, at least in this country; the Japanese don’t have the same strict rules for toy guns that we do here. In a way, though, the restrictions were good as far as the Zapper was concerned, as the American version looked like a science fiction ray gun. With early Zappers, you could succeed at a game simply by shooting at a lamp or another light source, but I think they eventually worked that out. 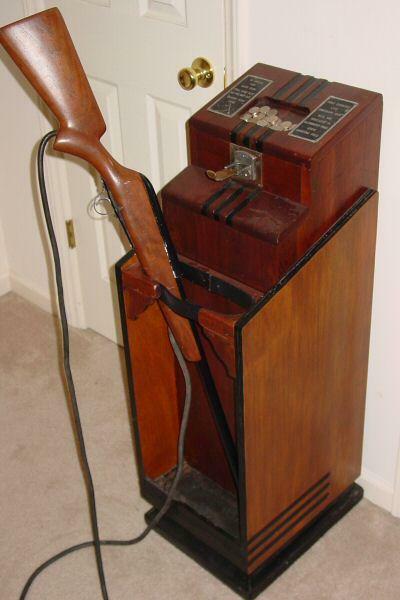 You could still cheat at Duck Hunt by holding the Zapper right up to the television like my sister used to do, however. The Super Nintendo had the Super Scope, which was more like a bazooka. While it was wireless, it required batteries, and couldn’t be used with very many games. Perhaps the most famous Super Scope title was Yoshi’s Safari, which took place in the Mario universe. I’ve never played it, but the idea of a game where Mario actually uses a gun is kind of weird. The goal is for him to liberate Jewelry Land from Bowser and his Koopalings, and apparently Fire Flowers are an endangered species there. The technology behind the light gun doesn’t work with LCD or plasma television sets, so they’re largely obsolete these days. If Captain N is still is business, I guess he’s using a different weapon now. This entry was posted in Captain N: The Game Master, Cartoons, Mario, Technology, Television, Toys, Video Games and tagged back to the future part ii, duck hunt, guns, hogan's alley, king bowser koopa, koopalings, light guns, magnavox odyssey, nintendo, nintendo entertainment system, ray guns, ray-o-lite, super nintendo entertainment system, super scope, weapons, wild gunman, yoshi's safari, zapper. Bookmark the permalink.